With vast industrial experience, we are involved in offering a wide range of Design Wooden Frames. The Arch Window Frames, which we present to our clients is comprehensive of a high quality and is widely acknowledged in the market due to their affordable pricing. With the help of our diligent workforce, we are able to design and manufacture an excellent range of Sliding and Operable Window Hardware. We offer these hardware in two different styles; Euro style and Domal type. Both of these designs and known for their excellent looks and easy operability. 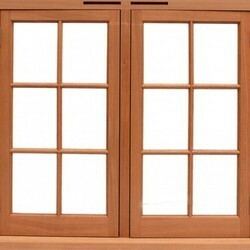 Our door/window frames are secure, easy to install and very economical. 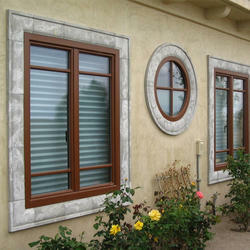 Our window/door frames are mostly used in commercial and offices complex. Even high class buildings use these frames to give architectural view with enhanced beauty and smooth working. Spellbinding enough to make heads turn, these eight panel windows are popular amidst global clients for unparalleled quality and stylish patterns.